Two of the survivors of the horrific fatal Nabou crash yesterday recounted how they woke up covered in blood and saw bodies outside their van. Waisea and Maikeli were in a van with 14 others when it collided with a Grace Road truck at Nabou, Queens Rd, between Nadi and Sigatoka. Four from the van and the two Koreans in the Grace Road Company truck died. The rest were taken to hospital. Waisea told of his agony as he saw his church youth friends lying next him heavily injured and covered in blood. He fractured his leg and suffered minor injuries. He is recovering at Nadi Hospital. He recalled they were on their way to Suva to support the Ratu Navula College. He said they were shouting and playing loud music. “I slept just half hour after we went past Nadi Town and then all of a sudden I found myself jolted by a loud bang. I was fortunate to be sitting in the middle unlike my friends sitting in front with the driver and at the back,” he added. “I saw some of my friends lying motionless in the mini bus heavily covered in blood and some had fallen out of the van on to the road; it was horrific. He thanked his parents and family for their support. Maikeli was admitted at the Sigatoka Hospital for minor injuries and was later discharged on the same day. The late Sanaila Ruitoka’s Uncle, Sakeasi Ruitoka of Yavusania Village, said his nephew’s wedding band was missing when Police dropped off the belongings to them. “They have returned the wedding band but his other belongings like money and mobile phone were still missing,” he added. 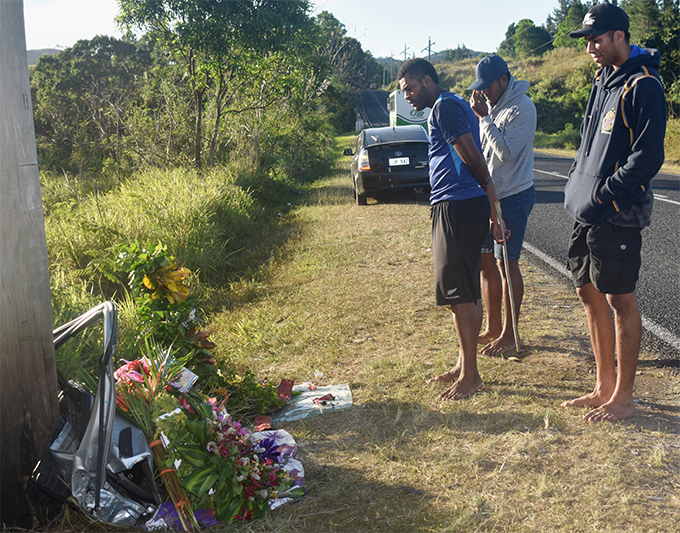 Meanwhile, Ratu Navula College old scholars and passersby yesterday took time out to lay wreaths including condolence cards at the accident site. One of them, Marika Damuni recalled that they were on their way to Suva with other older scholars to watch their former school play at the Powerade Super Deans Rugby semifinals in Suva on Saturday. 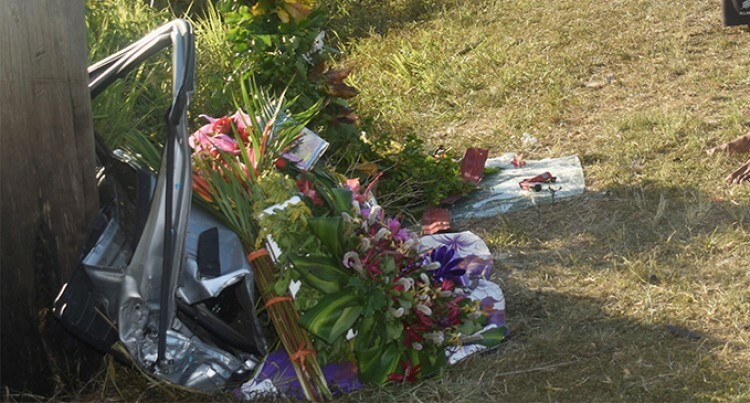 Ratu Navula College principal, Setareki Merekula, yesterday choked back tears as he described how the death of Year 10 student, Marika Rua, had emotionally disturbed his students. “Even I as the school principal couldn’t accept the news when it was delivered to me on Saturday,” he said. The school is flying the national flag at their assembly ground at half mast. 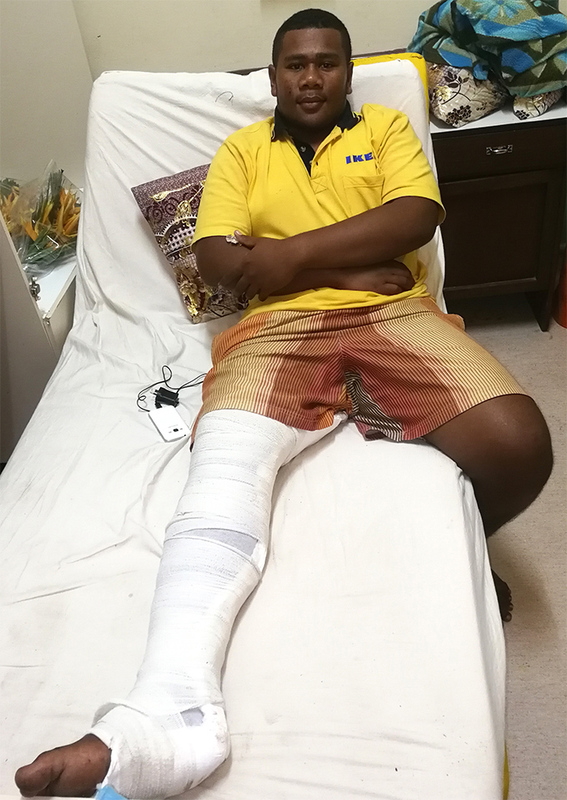 Mr Merekula has confirmed that two more students from their school who were also in the minibus are still admitted under critical condition at Lautoka Hospital. “We observed a minute of silence during our school assembly this morning (yesterday), tears just started streaming down the teachers and students faces,” he added. The school, he added, had postponed the term two end examination.